Taekwondo robots will demonstrate their robotic martial arts skills in South Korea in October, 2010. Taekwondo is a traditional Korean martial art form that recently gained Olympic event status. The robots will fight under the same rules as the human participants; three rounds of three minutes in which the robots will use their sensors to determine their opponents movements and then react accordingly. 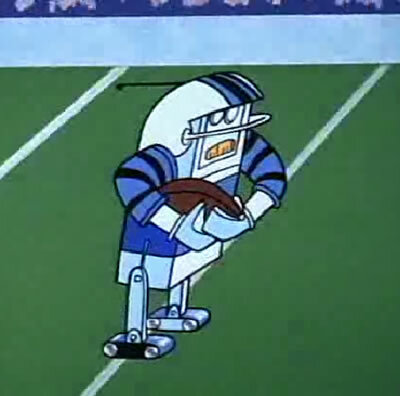 From the sport standpoint, these robots were anticipated by the football-playing robots from the 1960 TV series The Jetsons. 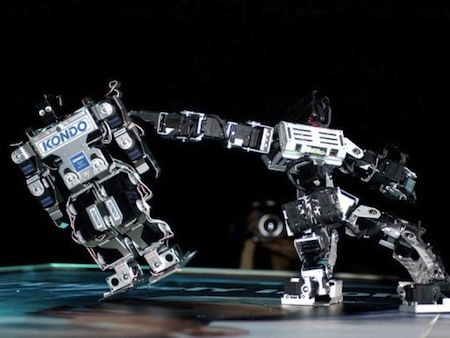 Robots have been into martial arts for some time; see earlier article HOAP-2 Robot Masters Sumo And Linux. RoboShiko! ; here's a video preview.